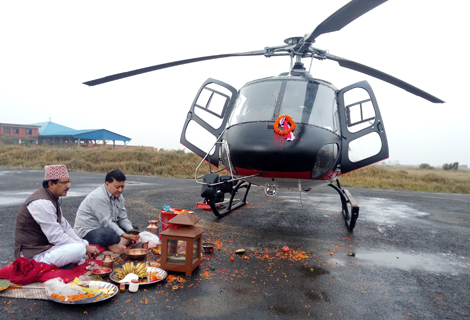 Aviation News – Summit Helicopters Pvt. 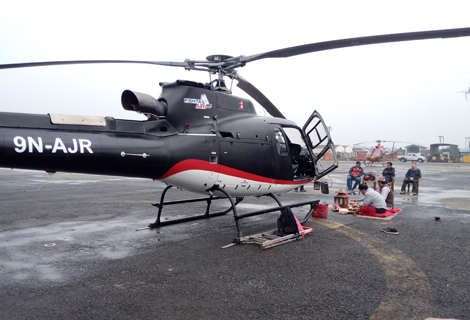 Ltd.
Fishtail Air’s new AS 350 B3+ helicopter has arrived at Tribhuwan International Airport in Kathmandu. The chopper after being brought from TARMAC AVIATION SA, Switzerland has added new gems in Fishtail Air’s fleet. 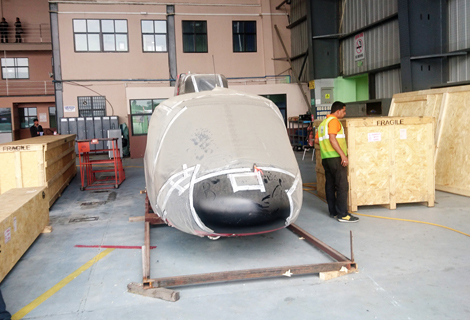 It will fly in the Nepalese sky with the registration sign ‘9N-AJR’. 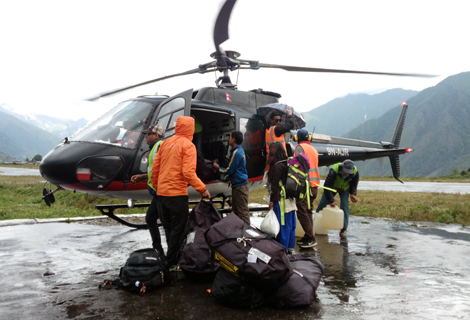 The AS 350 B3+ is powered by a 2B1 engine and is well known for its capacity to fly at high altitude (23,000 feet AMSL) all over the world. 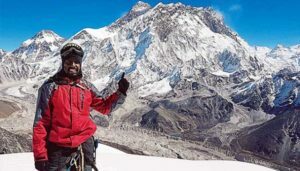 The chopper has also proved its capability in Nepal especially in mountain regions. 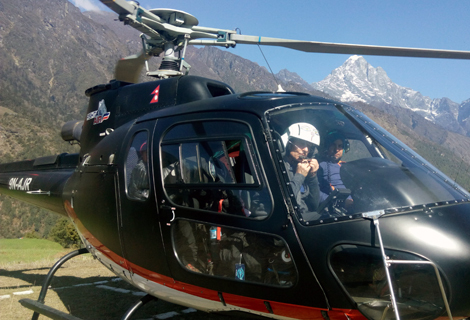 It holds 6 seats capacity excluding pilot and operates flawlessly during the Aerial Sightseeing, Mountain Flights, Rescue Evacuation, Corporate Charter, Sling Operations, High altitude operations and other special adventure missions. 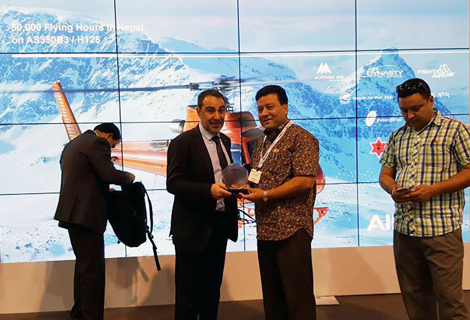 After the addition of AS 350 B3+ Helicopter, Fishtail Air’s fleet will be extended to three helicopters with one Bell-206 (9N-AII), AS 350 B3e (9N-AJQ).